When will be Magnificent Mile Lights Festival next episode air date? Is Magnificent Mile Lights Festival renewed or cancelled? Where to countdown Magnificent Mile Lights Festival air dates? Is Magnificent Mile Lights Festival worth watching? Magnificent Mile Lights Festival is a special held every year that airs on the Live Well Network which has become a Holiday Tradition. Grand marshals Mickey Mouse and Minnie Mouse lead a holiday parade down Chicago's North Michigan Avenue which features white lights along the parade route, giant balloons, marching bands, and floats bearing celebrities and animated characters. 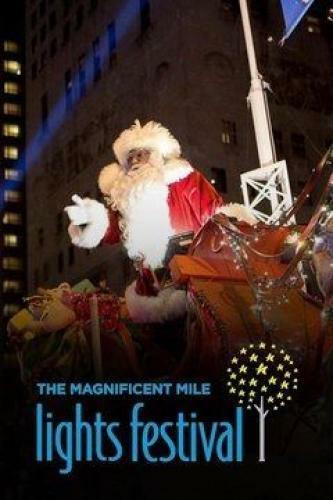 Magnificent Mile Lights Festival next episode air date provides TVMaze for you. EpisoDate.com is your TV show guide to Countdown Magnificent Mile Lights Festival Episode Air Dates and to stay in touch with Magnificent Mile Lights Festival next episode Air Date and your others favorite TV Shows. Add the shows you like to a "Watchlist" and let the site take it from there.